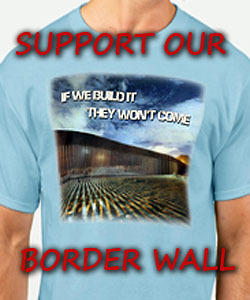 Pelosi told a news conference on Thursday there will be no money for the wall that President Trump insists upon…..
CNS News: House Speaker Nancy Pelosi told a news conference on Thursday there will be no money for the wall that President Trump insists upon. Pelosi was asked if she will commit to allowing a floor vote on whatever border security measure the Appropriations conference committee produces: “Well, if they come out with a bipartisan consensus, of course,” She responded. “Even if that means border wall money, though?” the reporter followed up. Pelosi’s wall-money refusal comes just hours after Trump tweeted, “The Wall is getting done one way or the other!” Let there be ‘Normandy fencing’. Later in the news conference, Pelosi was asked if she agrees with some other Democrats that “enhanced fencing” should be considered as House conferees work to produce a border security measure. 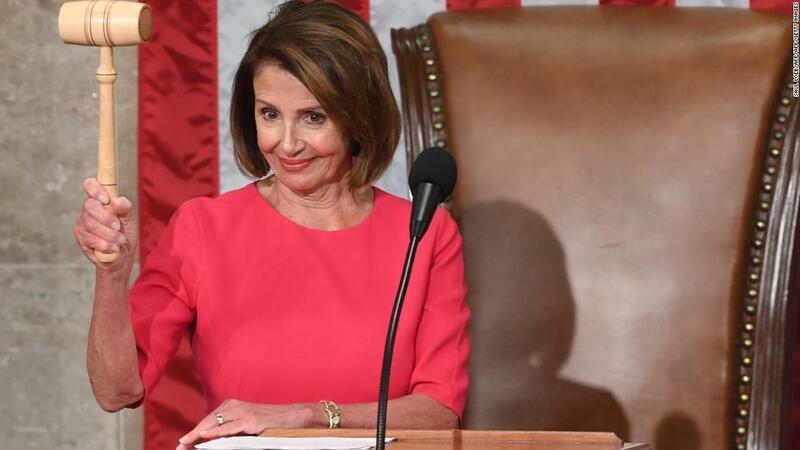 Pelosi noted that many places on the Southwest border have cliffs, a river, and 600 “miles of something.” “Three hundred of them are Normandy fences,” she said. “They go like this, do you know what a Normandy fence is?” she asked, crossing her hands to show what they look like. Pelosi said Normandy fencing would work as replacement fencing, and she suggested that conferees should have that discussion. She said “it’s all about two things — cost-benefit analysis — what’s the best way and what you get for your dollar to protect the border.” She also mentioned opportunity cost — if the money could be better spent on technology. “And by the way, when some of these fences were born — were born! — were built, the technology was not what it is today. So you have to look at technology in a new form.” She said border security can be looked at in the same way people consider whether to have a smart phone versus a landline. More dirty Demrat games. This woman is senile. She thinks she’s the President, just like the turncoats Ryan and McCain did. Now we have Shits on the MSNBC talk show blowing off his mouth too. How many presidents do we have anyway. I only voted for one???? Piglosi as well as Schmucky chuckie need need to be fed to the hogs then fed to the zmMuslims ASAP!! There WILL be a wall and that stupid Bit*h will pay for it one way or the other!!!! THIS OLD COMMUNIST WITCH NEEDS IN GITMO FOR TREASON, SEDITION, AND OTHER HIGH CRIMES.